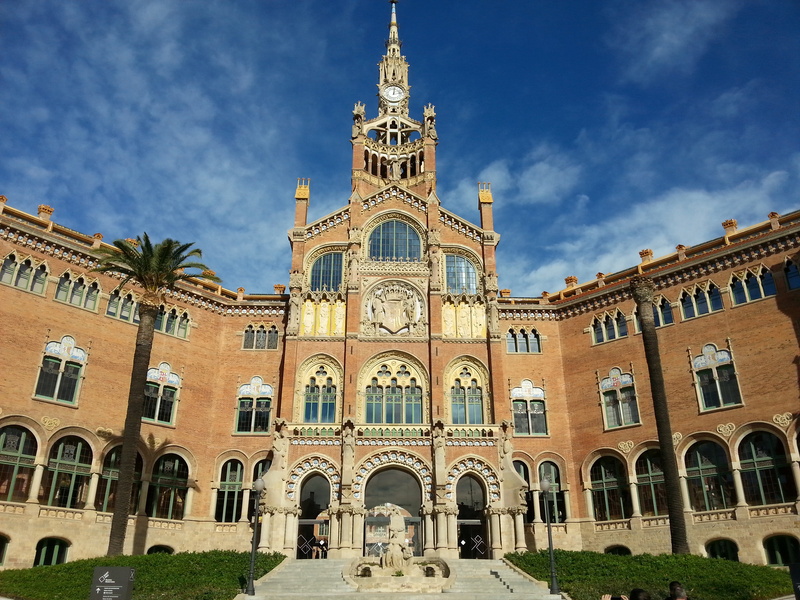 The magnificent Hospital Santa Creu i Sant Pau is the largest example of modernist architecture in the World. Lluís Domènech i Montaner’s medical complex is stunning, and its hard to imagine in these days of boring practicality that it was, until 2009, a fully functioning hospital. The healthcare activities that once filled the maze of buildings have been transferred to a modern building in the same grounds, and now, through ongoing restoration, the original buildings are a fabulous showcase for Modernist Architecture. Built on the site of the medieval hospital Santa Creu (the Holy Cross), the modernist Hospital Santa Creu i Sant Pau was the dying wish of a Catalan banker Pau Gil i Serra, who in 1896 established in his will that his estate be devoted to building a new hospital in Barcelona, which would combine the latest innovations in technology, architecture and medicine, and be dedicated to Saint Paul (Sant Pau). Work on the hospital began in 1902, made up of 12 different buildings, each dedicated to a different medical speciality. Domènech i Montaner’ work made great use of natural lighting, high ceilings & good ventilation – emphasizing the importance of open space & sunlight in the recuperation of the patients. Each building is a work of art in itself, and they are laid out in the form of a cross as a reference to the former medieval hospital Santa Creu. Formally opened in 1930 by the King, the hospital was declared a Historic Artistic Monument in 1978, and was recognised as a World Heritage Site by UNESCO in 1997. During the years it was functioning as a hospital, the hospital underwent many architectural changes. Since it closed its doors to patients, a budget of 100 million euros was allocated for the restoration project, and the painstaking work began to bring the hospital back to its former glory. The hospital is easy to reach, just a short walk up from the Sagrada Familia, and next to the metro station St Pau/Dos de Maig on the blue line, and Guinardo / Hospital de Sant Pau on the yellow line. 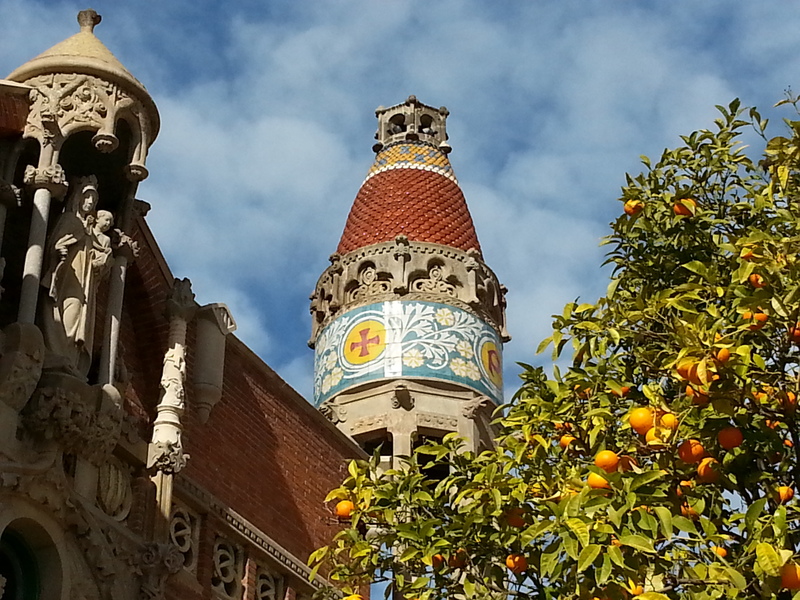 Every 1st Sunday of the month, and on occasional specific dates throughout the year you can visit the Hospital de Sant Pau for free, although without the guided tour. For me, perpetually on a budget, the free option was great, and I wandered around quite happily for about an hour and a half. If you prefer to learn more detail about the space then it’s probably worth the extra cash for the tour.